Mishima Yukio – Everything is Oll Korrect! 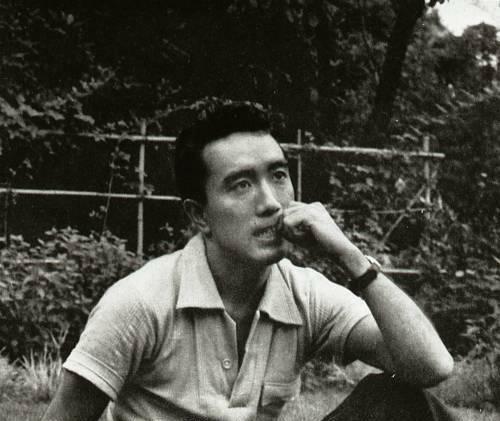 What’s the Appeal of Mishima Yukio? A while back, while visiting a friend of mine, I mentioned having recently re-watched Paul Schrader’s fascinating biographical film Mishima: A Life in Four Chapters. He had never heard of Mishima Yukio, and after explaining that he’s famous as one of Japan’s greatest novelists and infamous for committing suicide in spectacular fashion in 1970, he asked why I had such obvious admiration for a man who committed suicide, which, being a faithful Catholic, I consider to be an inherently evil action. 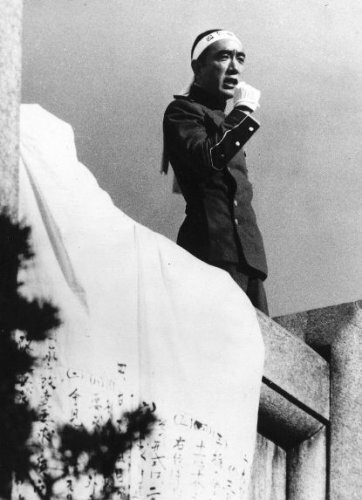 Read More What’s the Appeal of Mishima Yukio? Yep, going back to subtitles for this monthly – hey, remember when Bibliophile’s Journal was going to be a monthly series? Well, we just skipped a month or ten. No big deal. Anyway, I’ve read a few things in the past month or so, so let’s bring the journal back. Yeah, dropping the post subtitling thing after one week. Maybe next time, if I think of something good. Anyway, this past month may mark the beginning of a change in the way I read books, since I’ve subscribed to Audible. I’ve listened to a handful of audiobooks in the past, and though I don’t like them nearly as much as sitting down and reading through a physical book I decided to give this a try since I often find myself listening to podcasts while, say, cooking or working out. I don’t actually follow many podcasts, though, but audiobooks seem like a logical step. Besides, I don’t get through as many books as I’d like, and this should help with that. The first audiobook I downloaded was Mishima Yukio’s The Temple of the Golden Pavilion. Like I expect from a Mishima novel, much of the story consists of either seemingly unrelated anecdotes of the narrator’s life or philosophical tangents, but they all tie together and lead towards the novel’s climax (so it seems so far, but I’m 90% through and am pretty sure I know where this will end). Mishima’s stories remind me somewhat of Flannery O’Connor in that he likes to make use of the grotesque not so much for shock value, but to make a larger point, though that point seems more obscure with Mishima than O’Connor. At least, I feel like I grasp O’Connor’s ideas more readily than Mishima’s. “Didactic” literature has a poor reputation, in part because of its distinguished critics. J.R.R. Tolkien’s dislike of allegory is well-known, and his friend C.S. Lewis’s Chronicles of Narnia is often compared unfavourably to Tolkien’s Lord of the Rings partly because one is allegorical and one is not. Edgar Allan Poe also criticised explicitly didactic literature, and Lewis Carroll mocked the tendency to look for a “moral” to stories via Wonderland‘s Duchess character. Mishima Yukio has quickly become one of my favourite authors. The hardest part of writing a post about him, though, is probably deciding just what to focus on, as he was tremendously prolific. In his 20-year career, he averaged at least one full novel a year, one full play a year, several short plays and short stories, as well as some essays and poems. I suppose the best place to start would be Sun and Steel, where he explains the philosophy and aesthetic that underlies his novels. The central problem Mishima confronts is how to reconcile words, which I understand as analagous to mind or spirit, with the body, the physical world which does not depend on words and which words often cannot describe. The former he felt he mastered at a young age. After all, he made his living as a novelist, read widely, and was naturally introverted as a child. The body he began to understand only gradually, through a handful of experiences. He relates how, as a child, he would watch religious processions of young men carrying mikoshi (portable shrines) through town, and noticed that they all looked up toward the sky as though experiencing an epiphany. He wondered what they saw and thought. Years later, he took part in such a procession, and as he felt the weight of the mikoshi on his shoulders and began marching in step with the other young men, he realised what they had all been thinking: nothing at all. They were merely gazing at the sun. When I first read that story, it struck me as anticlimactic. However, I think it relates partly to an older Japanese tradition. Famed swordfighter Miyamoto Musashi noted (in his Book of the Five Rings) that a skilled warrior does not consciously plan his moves, but acts and reacts to an opponent by a kind of instinct. Miyamoto and Mishima refer to a kind of knowledge that does not rely on the intellect, and which words cannot quite adequately describe. While many philosophies (e.g., Confucianism) urge cultivation of the intellect, they often neglect this physical knowledge which, according to Mishima properly forms fully half of human experience. So, to be a full man, one must cultivate both the body and the intellect. After a man’s gotten a library card and gym membership, though, what should he do next? Is there a way to reconcile these two types of knowledge? The question persists through several of his novels to varying extents. See, for example, Runaway Horses, the second book in his Sea of Fertility tetralogy. The story takes place in pre-World War II Japan, and the protaganist, Iinuma Isao, has mastered control of his body through kendo, and has also kept his spirit completely pure. This purity leads him to decide that he must, somehow, serve the emperor by protecting him from the corrupted politicians and capitalists who control Japan. His purity gives him the will and his body gives him the ability to act, and his solution is to gather like-minded comrades and then assassinate certain key figures, then commit suicide after accomplishing that mission. They hoped that their own dramatic action would inspire the rest of the nation to demand a restoration of imperial authority. One could also relate this, of course, to Mishima’s own decision to commit suicide, and in spectacular fashion at that. Along with a few followers, he took over a military office, demanded the restoration of imperial power, and then committed suicide. His inspiration came from words, his action from the body.